BANDIT II. Black handle with Red, yellow or gray inlay. 3 inches closed. Thumbscrew for fast and easy opening. Key chain included. 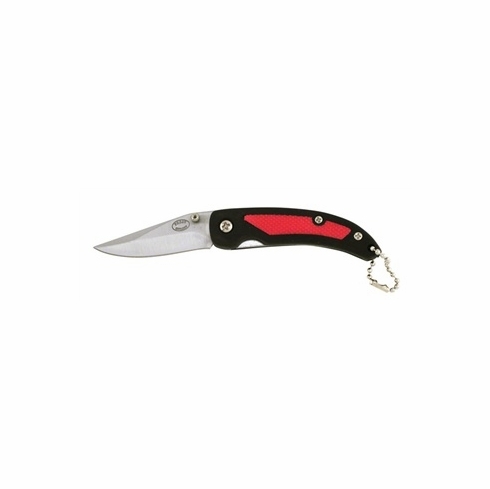 Frost Cutlery Lockblade Knives are sturdy, compact, designed to be carried anywhere, and always ready at hand. The stainless steel blade means these knives require a minimum of maintenance, so you have the tool you need anytime.